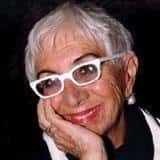 Lina Wertmuller, the famous cinema director and script-writer, has been invited to preside at the CineMusic section of the well-known Ravello Festival. Just to mention some of the main events: on Saturday August 4th projection of the film "Film d'amore e d'anarchia" (1974) in honour of the famous musician and composer Nino Rota, to whom the prize Ravello CineMusic has been dedicated from this year; on August 7th, in the wonderful gardens of Villa Cimbrone, reading of Violet Trefusis' touching love letters for Vita Sackeville-West. The unquestionable charm of Ravello certainly makes the famous director feel at her ease: it is a pleasure to see her walking along the alleys of the town with nonchalance. However, she can't hide the look of surprise in her eyes in admiring the Amalfi coast view from Villa Cimbrone Belvedere or from Villa Maria Restaurant. Lina Wertmuller has been the first woman to receive the nomination for the Academy Award as Best Director thanks to the film "Pasqualino Settebellezze" in 1975 (Seven Beauties). She began her career as an actress, performing for over a decade before working as an assistant director of Federico Fellini with his film " 8 ½" in 1962. Other famous films are: "Mimì metallurgico ferito nell'onore" (The Seduction of Mimì) (1972), "Travolti da un insolito destino nell'azzurro mare di agosto" (Swept Away by an Unusual Destiny in the Blue Sea of August) (1974), "La fine del mondo nel nostro solito letto in una notte piena di pioggia" (A night full of rain) (1978), "Fatto di sangue tra due uomini per causa di una vedova...si sospettano movimenti politici" Blood Feud) (1978), "E una domenica sera di novembre" (1981), "Sotto...sotto...strapazzato da anomala passione" (Softly, softly) (1984), "Un complicato intrigo di donne vicoli e delitti" (1985), "Io speriamo che me la cavo" (Ciao Professore!) (1992), "Ninfa plebea" (The Ninmph) (1995), "Ferdinando e Carolina" (1999), "Francesca e Nunziata" (2001), "Peperoni ripieni e pesci in faccia" (Too much Romance...It's time for Stuffed Peppers) (2004). We would like to give our thanks to the famous director for her precious collaboration: Ravello Festival keeps Ravello's name up!